Jack Lessenberry talks about Dr. Richard Keidan service in Nepal. For years, Dr. Richard Keidan has lived two lives. Professionally, he is an elite cancer surgeon and a professor of surgery from an upscale Detroit suburb, one of the state’s best. But his heart is in Nepal, where he spends at least three months of every year, climbing mountains, trudging to far-flung local villages, and pouring time and money into public health projects. “This is my life’s work,” he told me when I first learned about it three years ago. He’s thrown his heart into it, and right now his heart is hurting. Nepal, as the world knows, was devastated by the nation’s biggest earthquake in nearly a century, a quake 22 times more powerful than the one that devastated Haiti five years ago. Yesterday, Keidan told me that information from Nepal is extremely sketchy. He’s talked by phone with Ben Ayres, another American who runs a foundation in Nepal and lives full-time in Katmandu. Ayres’s own house has been destroyed. He, like thousands of others, are living in tents in fields, lest a series of powerful aftershocks topple the buildings that are left. Communication with Nepal’s interior is not far removed from the Stone Age. But Ayres told Keidan that his understanding is that the projects he has been working on, in two villages near Mount Everest, have been severely damaged or destroyed. Though more than 4,000 people have died in Nepal, casualties in Keidan’s adopted villages of Dipsung and Rakha are said to be light. But a medical school he’s been funding to train rural doctors may be completely gone. Keidan, a tall and athletic man who looks younger than his 60 years, is frustrated. He told me he would like to hop on a plane right now and go, but Nepal is essentially closed to all but emergency relief efforts, and even if he got there, getting 250 miles into the interior would be difficult or impossible. Even in the best of times, he has to walk much of the way. So, he is mobilizing his own foundation, Detroit2Nepal.org, to provide relief for his adopted Khotang District. Anyone interested can find out how to donate on the website, or sign up for what may be Michigan’s most strenuous fund-raising effort. On May 8, anyone willing to donate $1,000 can be one of a select few who will rappel down Detroit’s iconic First National Building at the foot of Woodward, with the money to go for both earthquake relief and to benefit DAPCEP, the Detroit Area Pre-College Engineering program. If, like me, you’d rather pay to avoid rappelling down anything, you can do that too. What I’ve admired most about what Keidan has been doing in Nepal is that he avoids flashy demonstration projects and doesn’t go there to perform operations on the elite. He told me once that what he is doing in bringing modern toilets and rural medicine to a community will save far more lives. It would be a shame to see all that he’s done come to nothing. Jack Lessenberry talks about a Michigan bill that would weaken coverage for those terribly injured in catastrophic auto accidents. There’s little doubt that State Senator Joe Hune is the health insurance companies’ favorite Michigan legislator. While it wouldn’t be nice to say he’s been bought and paid for, they’ve invested heavily in him over the years; nearly a $100,000 in campaign contributions, according to conservative Detroit News columnist Frank Beckmann. 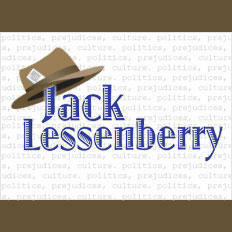 Jack Lessenberry talks about why some Americans don't trust the government. People have been looking down on politicians since the beginning of time. Jack Lessenberry talks about Governor Rick Snyder is inching towards making a run for President. There’s suddenly a new flurry of rumors that Governor Rick Snyder is inching towards making a run for President. There is some evidence that there’s something to this. The governor, or his supporters, are creating a new non-profit fund, “Making Government Accountable” to pay for his jaunts around the country.